By 1720, the King of France decided to ban the practice of issuing playing card money. 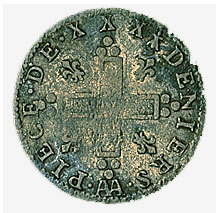 The colony's inhabitants were forced to make do with coinage supplied from France, such as the 30-deniers coin known as a mousquetaire because its cross resembled that adorning the capes of the famous musketeers. The gold coins, which were intended primarily to pay the troops and other civil servants, did not remain in the colony for long. 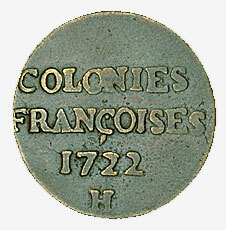 La Compagnie des Indes Occidentales, which held a monopoly over the fur trade in New France, also issued coins for use in the colony. But as the coins were not legal tender in France, local merchants refused to accept them. 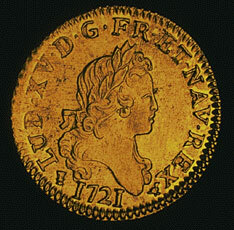 Consequently, the shortage of coinage remained a major problem in the early part of the 18th century.